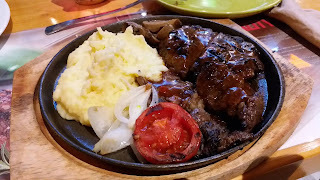 When you are a lover for mexican food one restaurant comes to mind when you are in Manila, Fiery Style. We love their tacos nachos And their steaks. We have tried their branches in Resorts World and in Bonifacio Global City. Its a bit of travel from my place but trust us, its worth it. Since we live south of Manila, north of Laguna exactly, its been a constant long decision making should we dine in our fave mexican resto. Worry no more as Fiery Style has opened in Southwoods Mall. 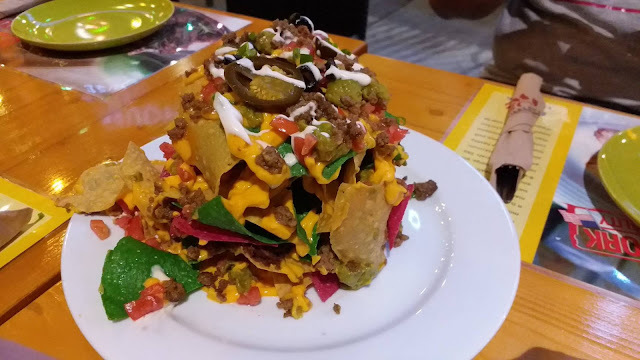 Located in Biñan Laguna, the great tacos and succulent steaks are now within minutes away from this writer. Its heaven sent or answered prayer when we knew one has opened up less than a week ago. Of course we ordered the steaks right away along with their nachos served in a tower like presentation. These two Will surely brighten up your lunch or dinner. They are truly the crowd drawers or bestsellers. May I also mention that they are a family oriented restaurant so every part of the family would surely enjoy their other mexican dishes. If you value some bit of fun, then you Can opt to watch their live bands in the evening with beer in hand, then chill. You Can be cool with your friends, beer, food and all.